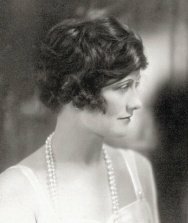 Coco Chanel (1883-1971) was a fashion designer, best remembered for co-inventing the "Little Black Dress" and making stylish clothes more practical. Chanel's styles borrowed elements from menswear, street and lower-class fashion, without losing any of their elegance or charm. Chanel was one of the first "modern women" and a successful entrepreneur. She never married, though she carried on high profile affairs with men like Igor Stravinsky and the Duke of Westminster. When asked why she didn't marry the Duke, she explained "There have been several Duchesses of Westminster. There is only one Chanel." So true. 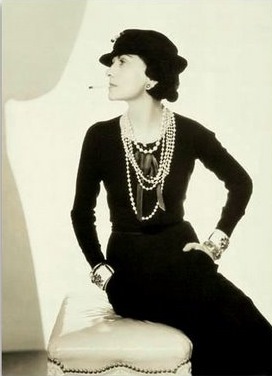 Find out how Coco Chanel co-invented The Little Black Dress. Fashion has become a joke. The designers have forgotten that there are women inside the dresses. Most women dress for men and want to be admired. But they must also be able to move, to get into a car without bursting their seams! Clothes must have a natural shape. Learn the difference between style and fashion. True generosity means accepting ingratitude. If you were born without wings, do nothing to prevent their growing. Luxury is a necessity that begins where necessity ends. 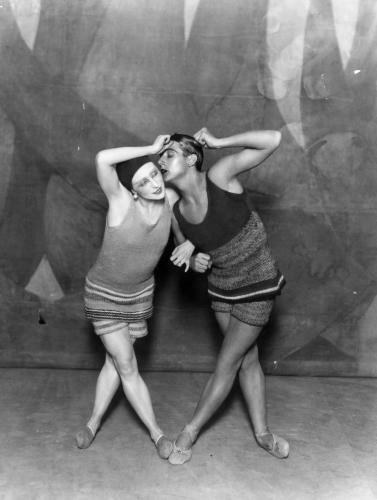 Wherever one wants to be kissed. ––response to a young woman who asked her "where one should wear perfume?" A dress is not a dressing. It is made to be worn. One wears clothes with the shoulders. A dress should hang from the shoulders. There is no time for cut-and-dried monotony. There is time for work, and time for love. That leaves no other time.